Well, “Yulesville,” novelty Christmas piece recorded in 1959 and performed by Edd “Kookie” Byrnes. The words and music are by Warren E. Barker, Terry Galanoy, and William A. Olofson. 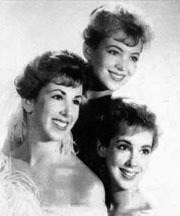 Kookie was a recurring character on the hit 1950s TV Show 77 Sunset Strip. A parking attendant who constantly combed his stylish hair, Kookie also got into the act as an unlicensed protégé detective who helped the private eyes (played by Efrem Zimbalist, Jr. and Roger Smith) on their cases. Kookie called everybody “Dad” and was ABC TV’s tribute to the Jack Kerouac style cult-hipster and James Dean in Reel Without A Cause. Kookie talked a jive-talk “code” to everyone whether you understood him or not. He was the prototype adopted years later by Henry “The Fonz” Winkler of Happy Days. 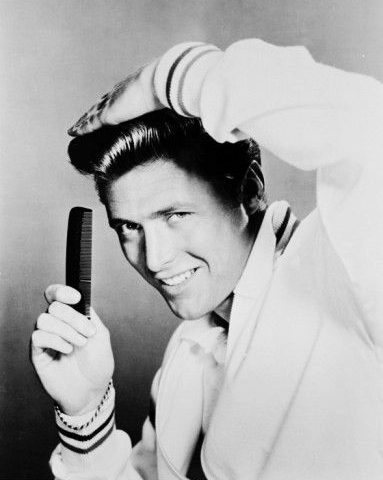 Byrnes was in the 1978 movie Grease as the TV teen-dance show host Vince Fontaine. He also had a charting recording with “Kookie, Kookie — Lend Me Your Comb,” which he did with the lovely Connie Stevens. 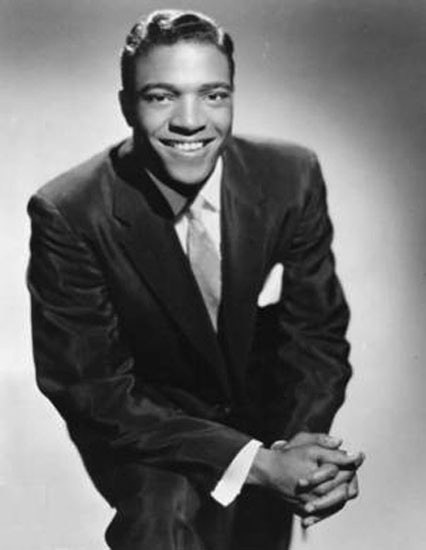 The Daily Doo Wop Rec Room has daily featured doo wop music, rock and roll hits, R&B, or rockabilly songs that werewere hits during the first era of rock and roll (that is, from about 1952 until the British invasion in 1964). After a song is featured, it then goes into the juke box. You are welcome to listen to any of the 40+ selections there. Every weekend, there is a Golden Oldies Juke Box Saturday Night, and the juke box is full of song requests from the 1950s and 1960s. Please click here for the Daily Doo Wop YouTube channel, to which you can subscribe. Thank you for stopping by The Daily Doo Wop. Hope you enjoyed “Yulesville” by Edd “Kookie” Byrnes.